Holyrood’s Education and Skills Committee has refused to back the Named Person information sharing Bill, in what may be the biggest setback to the scheme since it was declared unlawful by the UK Supreme Court last year. Yesterday, the Committee told Deputy First Minister John Swinney that they cannot properly assess the Bill until they have an “authoritative draft” of the Code of Practice explaining how it will operate. 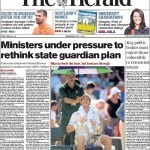 Mr Swinney has previously said he is “not minded” to consult on the Code of Practice until the legislation has passed. 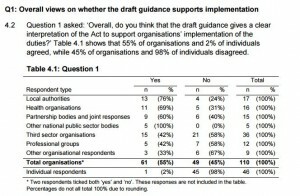 The Committee’s letter said that without the code “the majority of the Committee do not consider that they are able to make a decision on whether to recommend that the general principles of the bill be approved”. In taking this action the Committee has rejected John Swinney’s attempt to railroad through the legislation without addressing the concerns of the UK Supreme Court. Mr Swinney responded to the Committee’s decision by announcing he will form a new independent panel to try to persuade the public that the Named Person policy is ‘workable’. 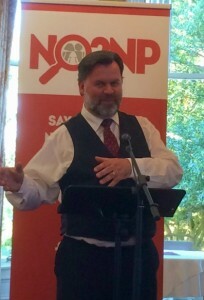 NO2NP spokesman Simon Calvert commented: “This is further evidence of the terrible handling of this policy. The Committee has shown it will not have the wool pulled over its eyes and has bravely stood up to John Swinney. “Initially he and the Scottish Government tried to steamroller through this deeply flawed and unworkable Bill without giving MSPs the chance to see the crucial details of how it would work in practice. “Expert witnesses from the legal world and practitioners who will have to work with this scheme have all warned about the dangers and shortcomings of this Bill. “The Committee has taken heed of that evidence – unlike the Government, which has ploughed on regardless. Now it is being forced to go back and think again. 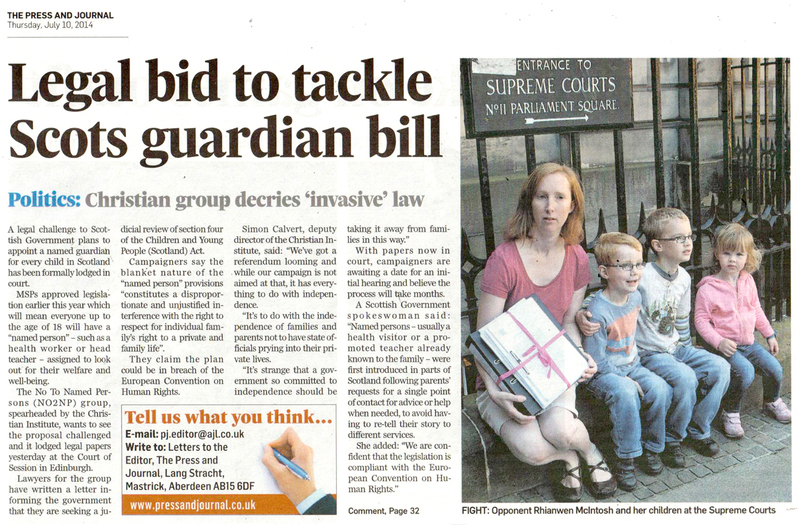 “John Swinney cannot ignore this and must act on the Committee’s letter. 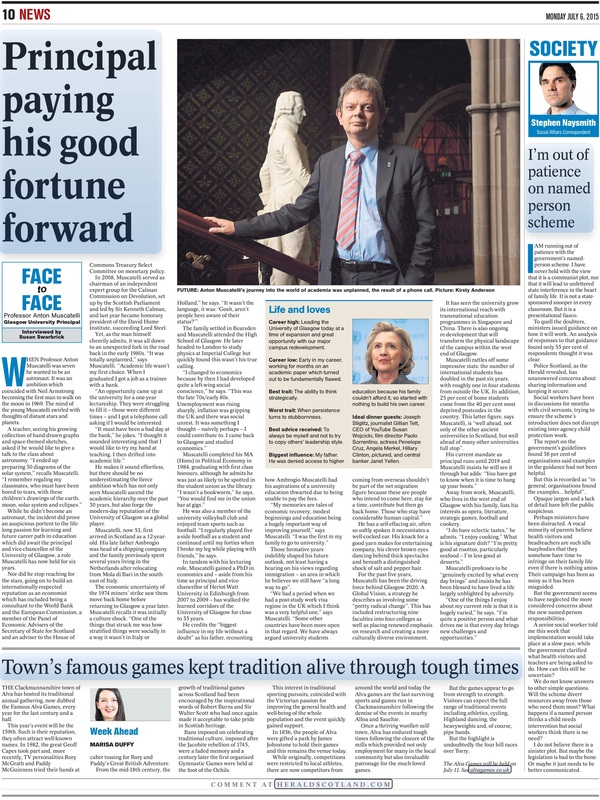 He’s kept MSPs, parents and practitioners in the dark. It’s time he saw the light and consigned this appalling legislation to the Holyrood dustbin. It’s clearly not fit for purpose. MSPs know that. Parents and practitioners know that too. In fact everyone seems to know that except the Scottish Government. In a parting shot, the Committee also addressed accusations that the Scottish Government had applied pressure to some of the witnesses who are before it to give evidence, demanding reassurances that the Government had not “sought to directly influence evidence to the Committee”. It’s already six months since the end of John Swinney’s ‘three-month period of intense engagement’… And still no word from the Scottish Government. Could it be that officials are struggling to resurrect the Named Person scheme after the UK Supreme Court struck down the very heart of it? The judgment noted that “the sharing of personal data between relevant public authorities is central to the role of the named person” (para. 78). •	Not within the legislative competence of the Scottish Parliament” deeming the legislation “defective” and blocking it from coming into force. So, did the Scottish Government get any helpful advice on information sharing during its ‘three-month period of intense engagement’? 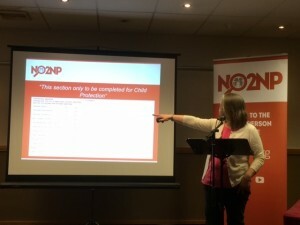 Well, a large number of groups including Social Work Scotland, Clan Childlaw, the Office of the Children and Young People’s Commissioner and several of the Third Sector organisations suggested that information sharing provisions should not be included in the Children and Young People (Scotland) Act. They expressed a preference for relying on existing legal frameworks and having guidance on the Data Protection Act. 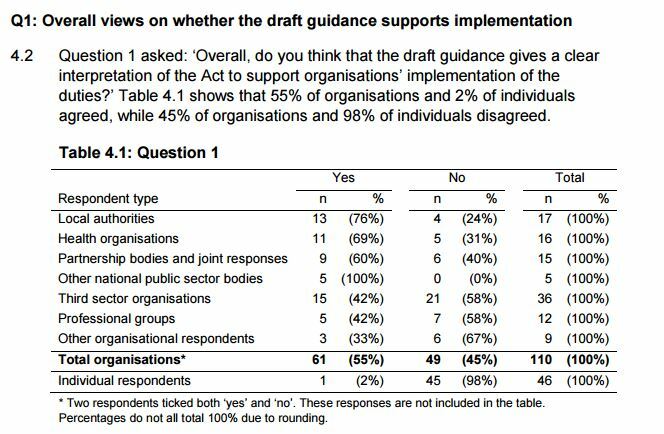 Even at the Information Sharing Stakeholder Reference Group meeting, you know, the GIRFEC data-sharing gurus, it was said that “absolute requirement to share information is not an approach desired by the majority of stakeholders”. In terms of consent, the NHS GIRFEC leads thought a legislative duty to seek consent might alter commonly understood and accepted practice. Another group highlighted that “obtaining consent is fundamental to effective support”. Perhaps not the feedback the Scottish Government was hoping for… might explain why we haven’t heard much from them lately. Back in December, NO2NPers wrote in their hundreds to the Deputy First Minister, making sure their concerns were heard as part of the “intense engagement” over the Named Person scheme. 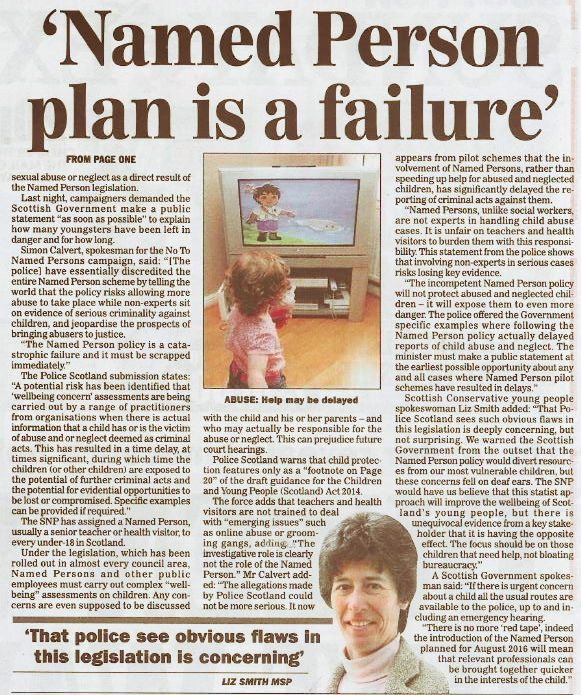 After thinking that just a few minor tweaks would be needed, and with the Deputy First Minister John Swinney encouraging councils and health boards to continue developing their Named Person schemes on 8 September 2016, it seems to be taking the Scottish Government a long time to work out how to fix the unlawful scheme. 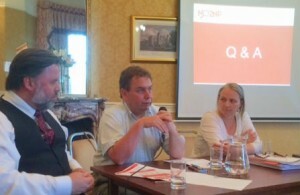 Hmm…the GIRFEC team “have been engaging widely”. Is that really true? 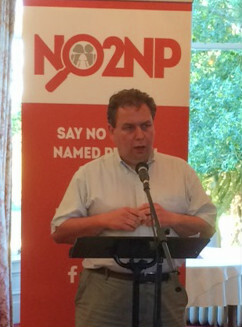 They refused to see NO2NP as part of the engagement process, telling The Christian Institute, one of the parties involved in the legal action, that because of the “fundamental policy disagreement”, the Scottish Government would only be engaging with people who “wish to improve the legislation”. 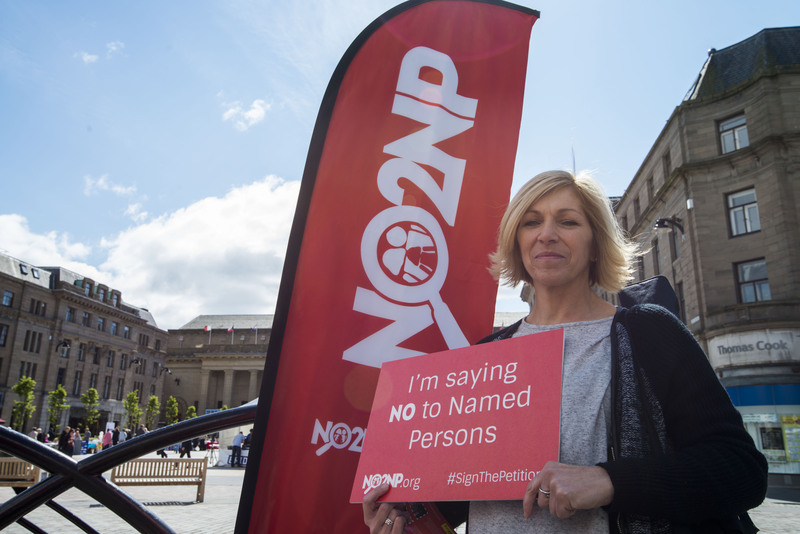 This is despite the fact that a poll last year found that only 24 per cent of Scots think that every child should have a state-appointed Named Person and almost two-thirds believe the Named Person is “an unacceptable intrusion into family life”. 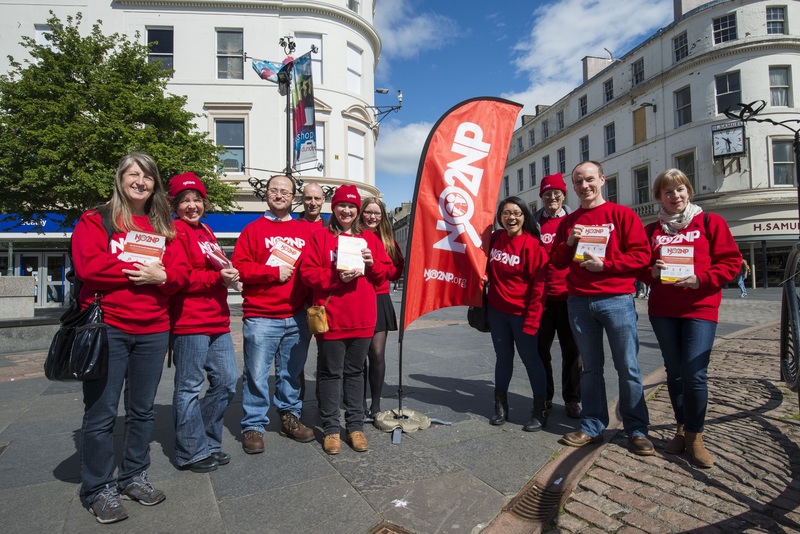 If the Scottish Government took engagement seriously, they would be talking especially to those who have concerns, not leaving them out in the cold. 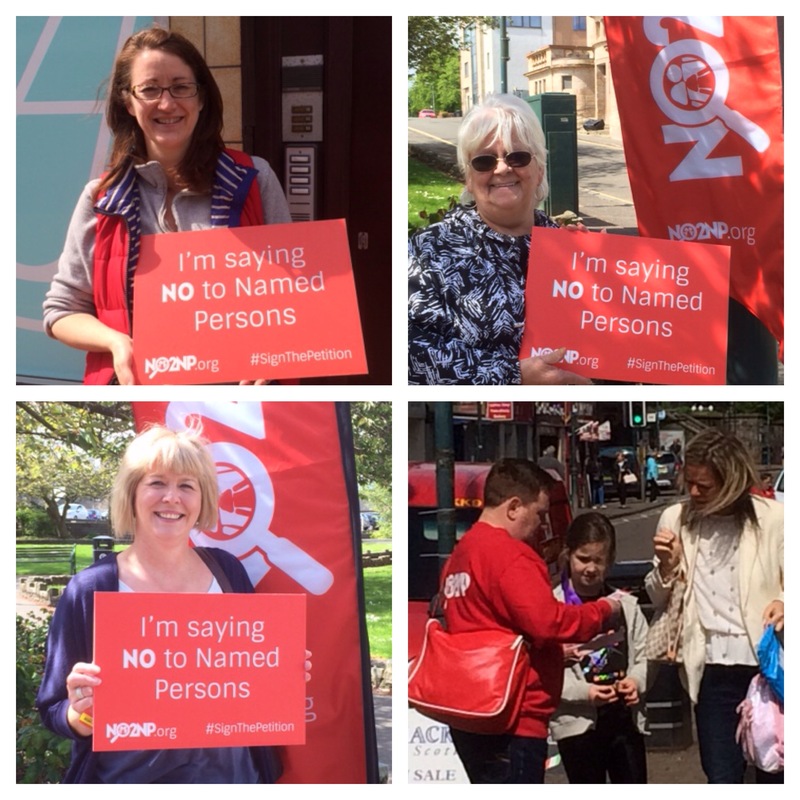 There are also over 36,500 people who have expressed their concerns and opposition to the Named Person scheme via the NO2NP petition – does the Scottish Government think their views don’t matter? This period of engagement was to address the concerns of the Supreme Court judgment on the information sharing provisions. 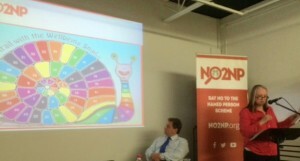 It was not a public consultation; the formal public consultation on the Children and Young People Bill took place in 2012. Your views and comments on information sharing will be considered as part of this engagement process. Given that the Supreme Court ruling blew a hole in the Government’s plans by striking down the data-sharing which was “central” why boast about failing to consult widely? Clearly they need to consult widely to understand the problems with the scheme. Well, if only that were the whole story. The Supreme Court actually said a lot more than that Ministers needed to provider greater clarity. In paragraph 73, the judges noted: “The first thing that a totalitarian regime tries to do is to get at the children…” – totalitarian sounds pretty bad. As well as a lack of clarity, the judges referred to “confusion”, so it looks like the scheme will be needing more than minor tweaks. Finally, this is closer to the truth. Paragraph 106 of the Supreme Court judgment explains that “the information-sharing provisions of Part 4 of the Act… are incompatible with the rights of children, young persons and parents under article 8 of the ECHR” and concludes by saying they are “not within the legislative competence of the Scottish Parliament”. 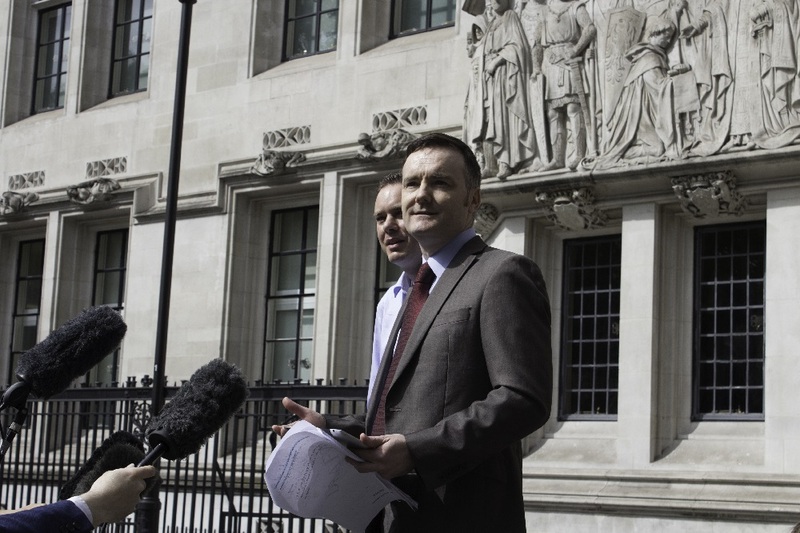 The Supreme Court actually said that while it cannot be said that the operation of the Named Person’s functions will necessarily “amount to a disproportionate interference with article 8 rights” (para. 96), there was a definite risk that the Named Person in practice also could interfere with article 8 rights (para. 106). This has to be the favourite…or wait, the only part of the Supreme Court judgment that the Scottish Government seem proud to quote. Even then, it should be taken in its context. The Supreme Court are talking about the Children and Young People (Scotland) Act as a whole, and say in paragraph 91 that it is the aim of the Act that is “unquestionably legitimate and benign” – that is, “the promotion and safeguarding of the wellbeing of children and young persons”. We never challenged that! Due to the fact that Part 4 of the Act breached the Human Rights Act and the Data Protection Act, the Supreme Court judges ruled that the information-sharing provisions were “not within the legislative competence of the Scottish Parliament” (para. 106). Regardless of what the votes were in the Scottish Parliament, we won! Whatever the vote, it was a breach of fundamental human rights and of the Data Protection Act. 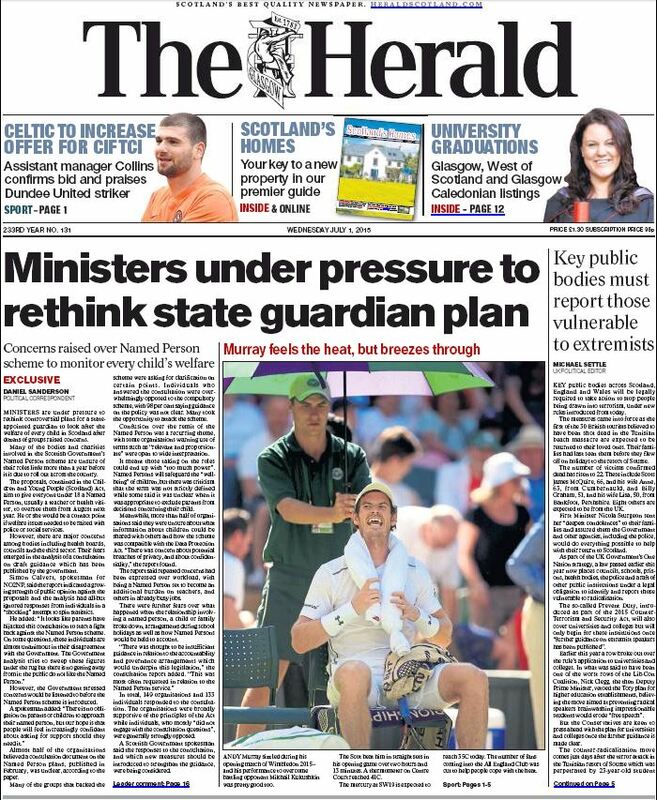 So in the end, the Scottish Government have engaged with lots of people, but fairly reluctantly. They were forced into it by losing in the Supreme Court and then cut themselves off from a valuable supply of input – those proved right by the Supreme Court. Do these figures include the hundreds of NO2NPers who proactively emailed even though the Government didn’t want to hear from them? No one objects to children and parents getting advice and help if and when they need it, but what we’ve argued, and what the Supreme Court accepted, is that the plans breached privacy and it is not clear that the scheme is not compulsory – as the First Minister has said. In paragraph 95, the judges explained that there is a risk that “parents will be given the impression that they must accept the advice or services which they are offered”. 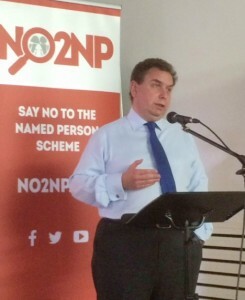 The Scottish Government have not been clear: on the one hand, the First Minister has insisted that the Named Person is an “entitlement”, but on the other hand, there has been no clear explanation given of how to opt out of the scheme. And “not engaging” is apparently a “risk factor”. 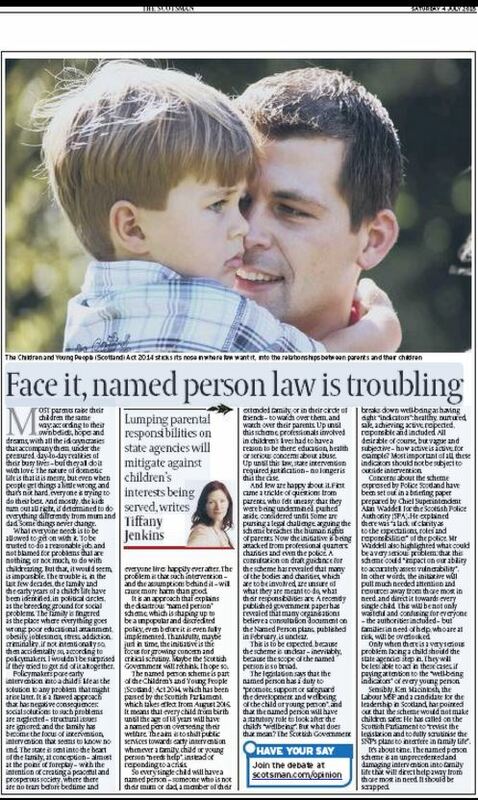 Well, this explains why some of you are still being told your children have a Named Person. 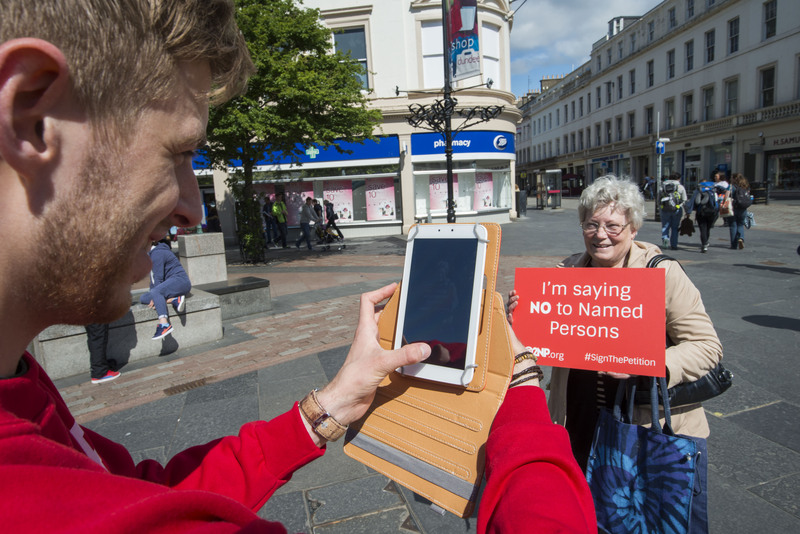 Some councils are continuing to run a non-statutory Named Person scheme, but it is crucial to remember that they can’t lawfully share your personal, sensitive information in the way that the Government wanted, and any advice offered by a Named Person has to be optional. We would beg to differ. This Government-backed leaflet said that the Named Person will check that your child is respected, including by seeing whether they get a say in how their room is decorated and what they watch on TV. Yes, maybe it can free up resources, but it can also do the opposite by generating lots of unnecessary referrals over trivial matters. It won’t free up teachers – they are busy enough already and have expressed concerns about the increased workload. 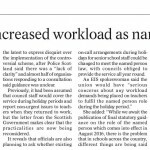 Greg Dempster, General Secretary of the Association of Headteachers and Deputes in Scotland said last year: “There is an issue with bureaucracy. The biggest issue that I hear mentioned as an absorber of headteacher time is the bureaucracy associated with the named person duties and GIRFEC. 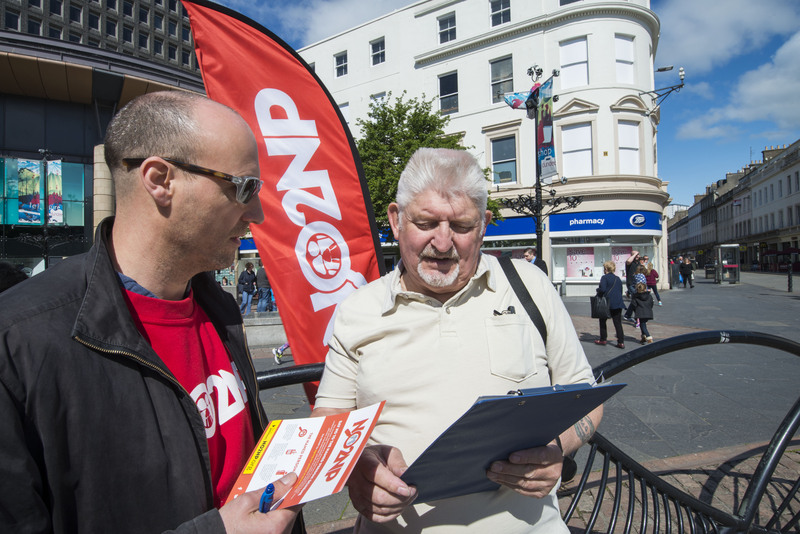 It would be useful to have a look at that bureaucracy.” A survey of health visitors represented by UNISON Scotland also highlighted concerns about the increased workload with Named Person duties. We’ve always argued that generating unnecessary reports on well-adjusted families will overburden already overstretched social services departments. The Named Person scheme, far from freeing up resources, could see trivial matters being raised with social services on the basis that they may be relevant to wellbeing, even though they are not remotely near the threshold of child protection issues. Surely parents have the primary responsibility for raising their children? 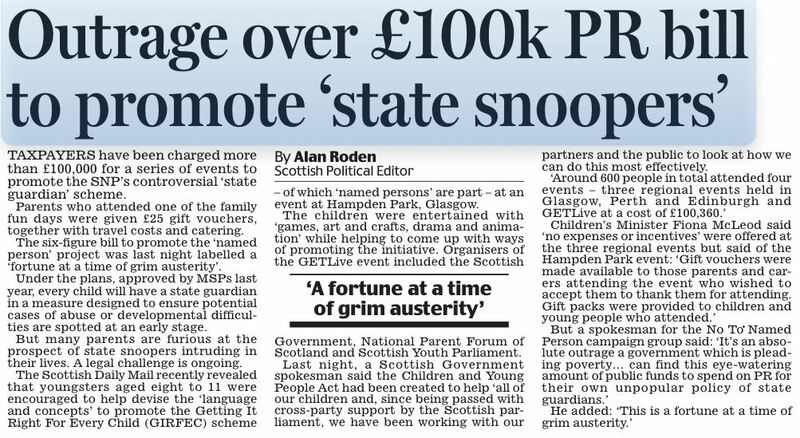 Yet the Named Person scheme threatens to undermine parents. The Children’s Parliament even dubbed Named Persons ‘Head Gardeners’, while parents were demoted to mere ‘gardeners’ alongside ‘other adults’. 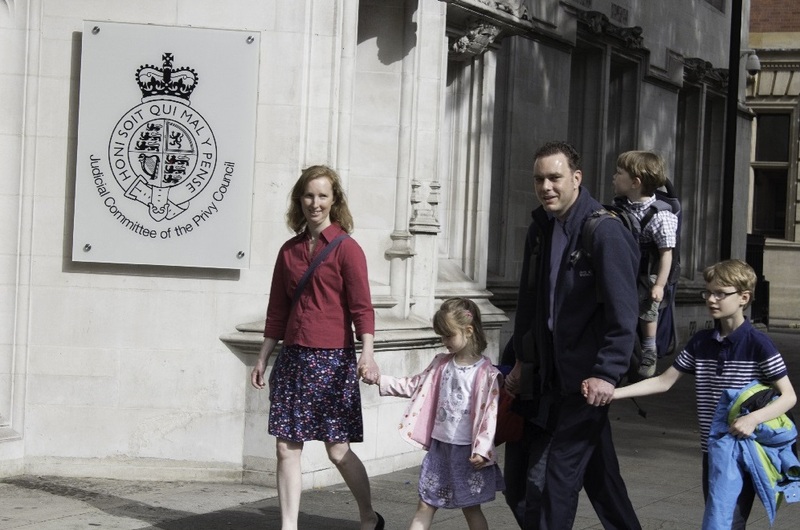 If it doesn’t undermine families, why did the Faculty of Advocates say that it “dilutes the legal role of parents” and “undermines family autonomy”? If that was it, no one would be objecting to the scheme. The trouble is, the Government haven’t really made it clear that parents can just use the Named Persons service as and when they want it. 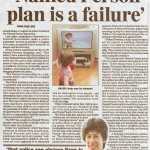 The Supreme Court judgment stated in paragraph 95 that “there must be a risk that… parents will be given the impression that they must accept the advice or services which they are offered… and further, that their failure to co-operate with such a plan will be taken to be evidence of a risk of harm”. If the new legislation is just formalising a role that already exists and doesn’t change anything, why did the ICO say that it was lowering the trigger for the sharing of personal information? Why did the Supreme Court strike down the information-sharing provisions if nothing had really changed? The Deputy First Minister has claimed the Supreme Court defeat “does not require current policy to change” and that it “vindicated” the Parliament vote for the Named Person legislation. John Swinney made the remarks during a statement on Named Persons to the Scottish Parliament today. 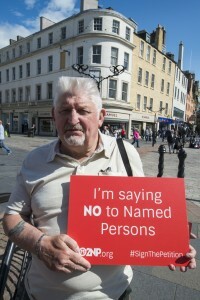 “This would be laughable if it were not so offensive to the parents whose human rights were so cavalierly ignored in the drafting of the Named Person law. “The Supreme Court said the kind of widespread, routine sharing of sensitive personal data that the Government wanted is unlawful and a breach of human rights and cannot go ahead. It said this data sharing was ‘central’ to the Named Person policy and its ruling blew it out of the water. “So whatever the Deputy First Minister may claim, the Named Person scheme he ends up with in a year’s time will be very different from the policy he wanted. 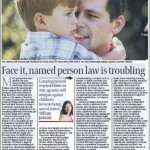 “Instead of focusing on saving face, the Government should be apologising to parents for ignoring their human rights. “We welcome the Deputy First Minister’s pledge to consult widely with professionals and parents, including people who do not agree with the Named Person. “The consultation, and the acknowledgement that it will take a year to draw up and implement the new proposals, is an admission that they have to heavily rewrite key aspects of the Named Person policy. 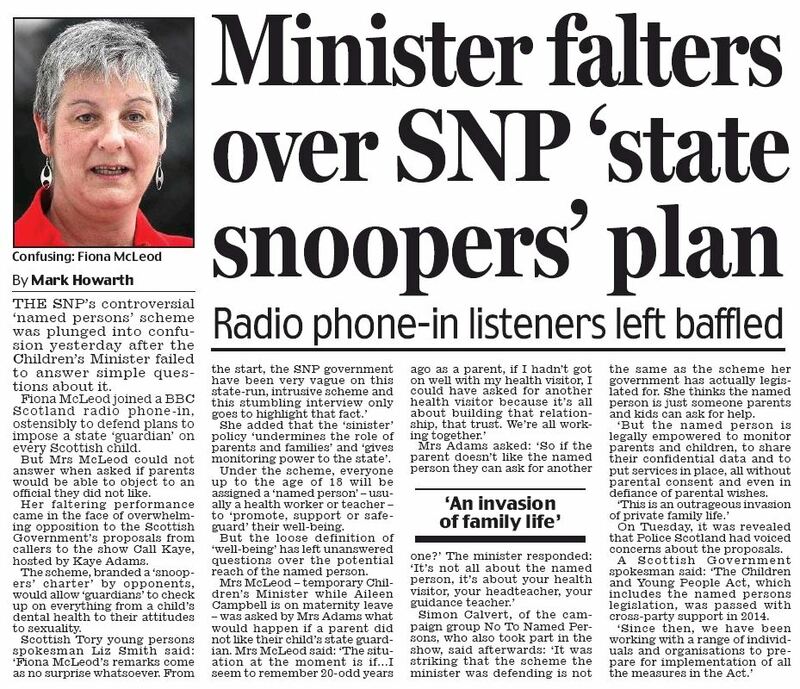 “The ‘business as usual’ message which the Scottish Government had been sending out since the Named Person ruling was in danger of leading local authorities to carry on with unlawful sharing of private information on families. “Having spent years encouraging the widespread illegal sharing of sensitive personal data, they should now be doing everything they can to put a stop to it. “Parents who feared that Named Persons were sharing embarrassing personal information behind their backs have been frightened by the Government’s bluster about barrelling on with the Named Person. “Today, Mr Swinney has made clear that data-sharing needs to comply with the Data Protection Act and the Human Rights Act. That is welcome. You have the right to request copies of any personal information an organisation may be holding about you. This is known as a Subject Access Request. 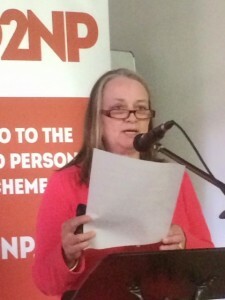 The troubling story of Kayley Hutton in 2013 was described as the “first example” of how the controversial Named Person scheme could have “disturbing consequences”. Kayley, who already had a six-year-old daughter called Kaiya, spoke of how the authorities tried to present her as an “unfit parent” and separate her from her newborn son, Duncan. As we approach 2016 and the nationwide implementation of the Named Person scheme in August, we fear more cases like Kayley’s will emerge. 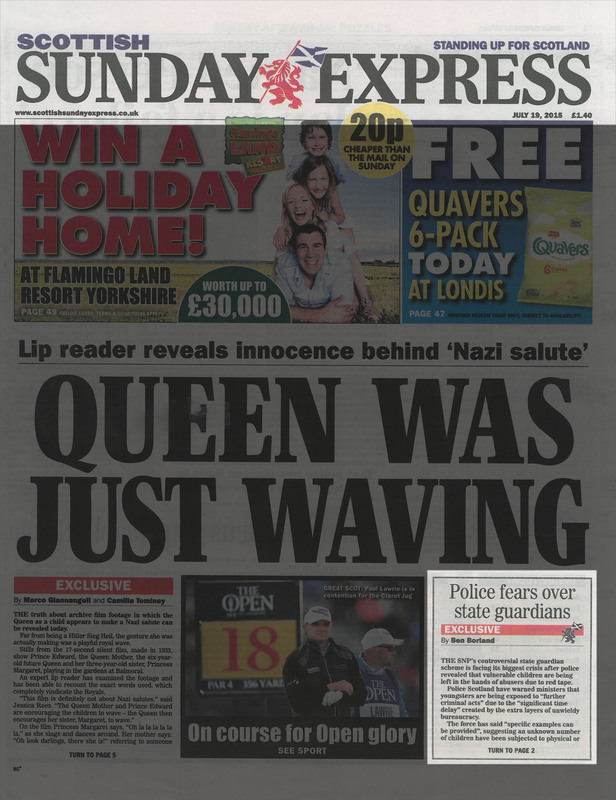 One campaigner warned at the time that “ill-informed opinions” were “putting innocent families under unwarranted scrutiny, resulting in unsubstantiated allegations being kept on file for who knows how long”. And to date there have been no steps to address this concern in the legislation being rolled out next year. Kayley, a mother-of-two, disclosed during a “risk assessment” process that she, like many others, sometimes suffered from depression and anxiety. After, Kayley was told she could no longer use her local hospital but instead had to give birth at another hospital – because it had mental health facilities! Kayley, who was 25 at the time, had previously been praised for her parenting skills by midwives and health visitors and could not understand why staff were treating her this way. An overreaction from officials you might think… Perhaps not if you’d seen the way information had been mis-recorded about Kayley in an official dossier by ‘named persons’. And of course without Kayley’s knowledge or consent. After giving birth Kayley was banned from leaving the hospital with her newborn son until she had had a meeting with her support worker, a social worker and health visitor. 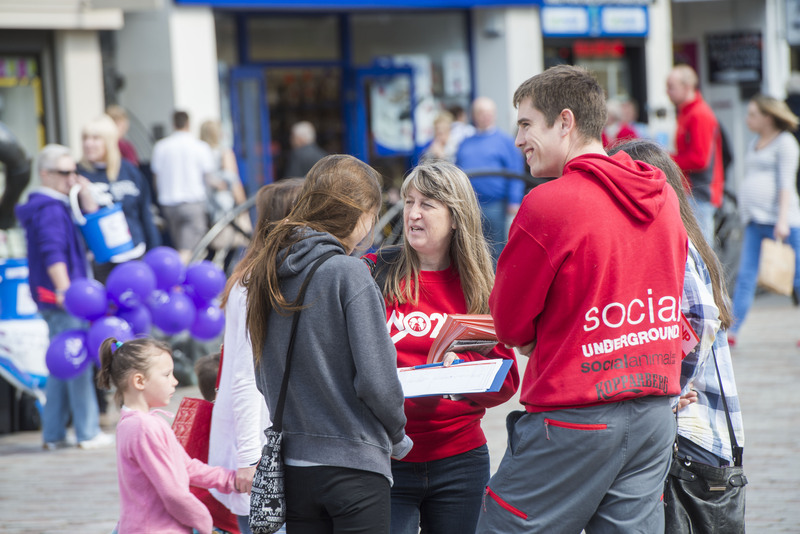 When Kayley tried to discharge herself, she was told her son would have to stay with nurses. “It was completely over the top”, said Kayley, “I thought I was going to have my son taken away from me as soon as I gave birth”. 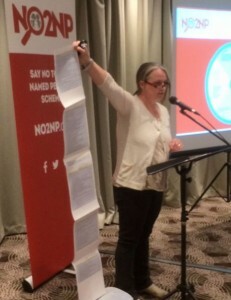 After this distressing ordeal Kayley requested to see this 120-page dossier containing notes recorded by ‘named persons’ – the content was truly shocking! It turns out officials had been secretly recording innocuous incidents as matters for concern. For example, Kayley had had a casual discussion with her daughter’s nursery teacher about how Kaiya had woken up one morning. She said her daughter had gone into the kitchen and started banging pots together, rather than going into Kayley’s room. Another report by Kayley’s support worker stated: “Kayley was waving off an overnight visitor as I left”. This guest was actually a female friend who had stayed at her house after a relationship ended. 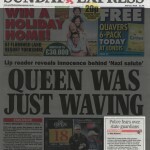 Nick Pickles, of campaign group Big Brother Watch, commented at the time: “This is exactly what we worried would happen. Hearsay and ill-informed opinions are putting innocent families under unwarranted scrutiny, resulting in unsubstantiated allegations being kept on file for who knows how long. 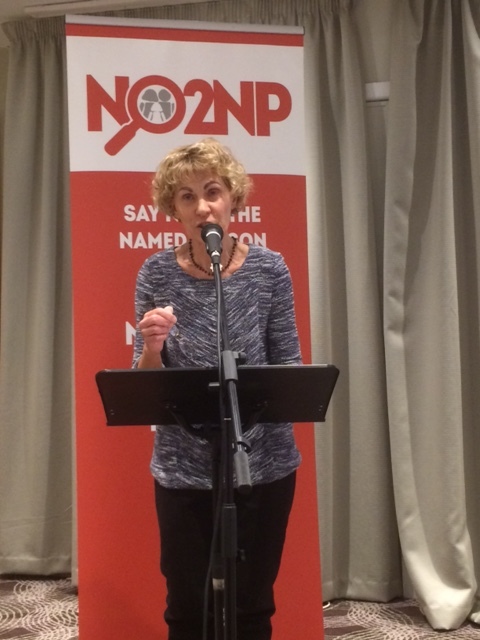 “When it comes to childcare the people who should be making decisions are medical professionals and not state snoopers. “This scheme is a disaster waiting to happen and risks driving parents away from the entire support system available to them, for fear of being wrongly accused. 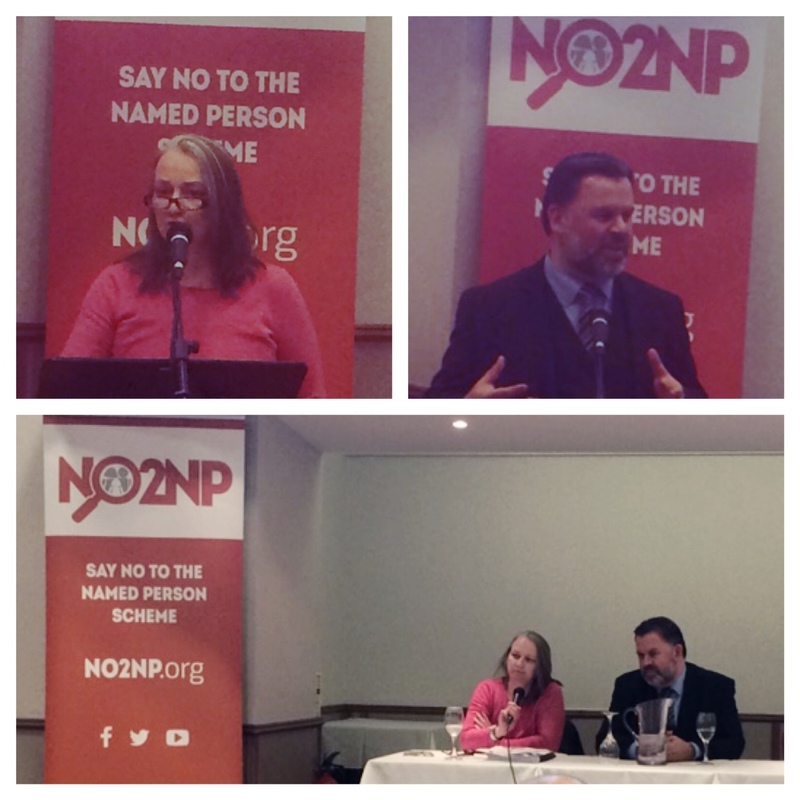 On Saturday NO2NP officially launched its online petition to oppose the Scottish Government’s Named Person scheme. Volunteers took to the streets of Dundee to help raise awareness of the campaign by giving out leaflets to the public and gathering signatures for the petition. 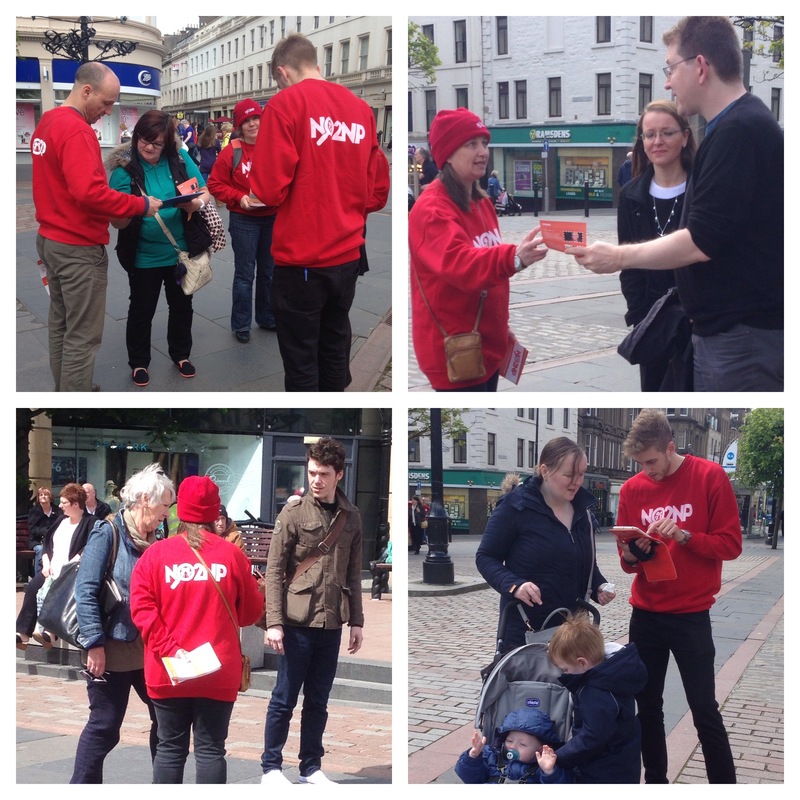 A team of volunteers were also out in Kirkintilloch, the constituency of the Minister for Children and Young People. The petition doubled in size over the launch weekend, and now has more than 4,500 signatures. Sign and share the petition here. NO2NP Roadshow speakers Dr Stuart Waiton, a sociologist and lecturer at Abertay University, and Lesley Scott, from Tymes Trust, joined volunteers at the Dundee Action Day. 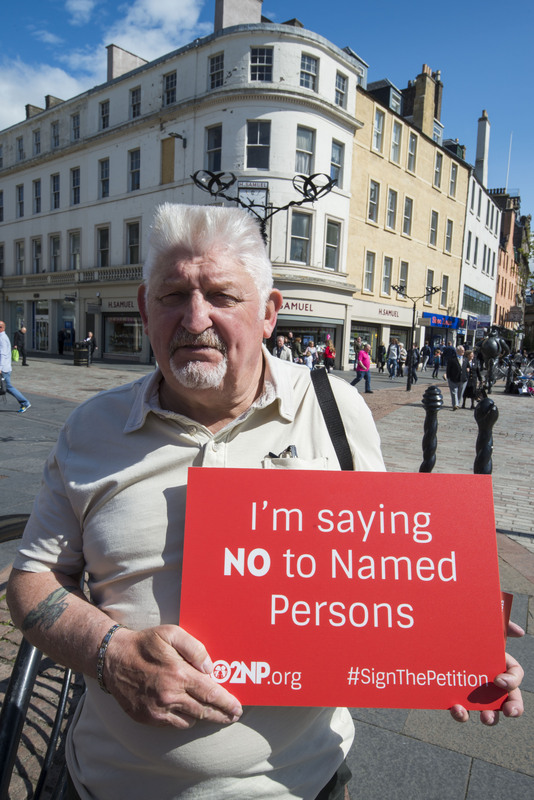 The Action Day and petition launch comes ahead of the appeal hearing by campaigners opposing the Named Person scheme, due to be heard in the Court of Session this Wednesday and Thursday. 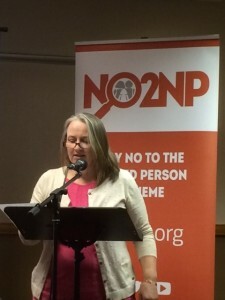 A spokesman for NO2NP said: “We remain deeply concerned about the threats to the human rights of families to their privacy in their own homes as well as the breaches of data protection laws as the state passes confidential family information to and from different public bodies. 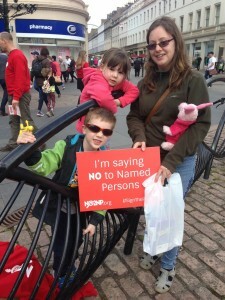 “The state thinks the named person – a health visitor, a teacher or other professional – can fulfil the role better than mums and dads which is ridiculous. 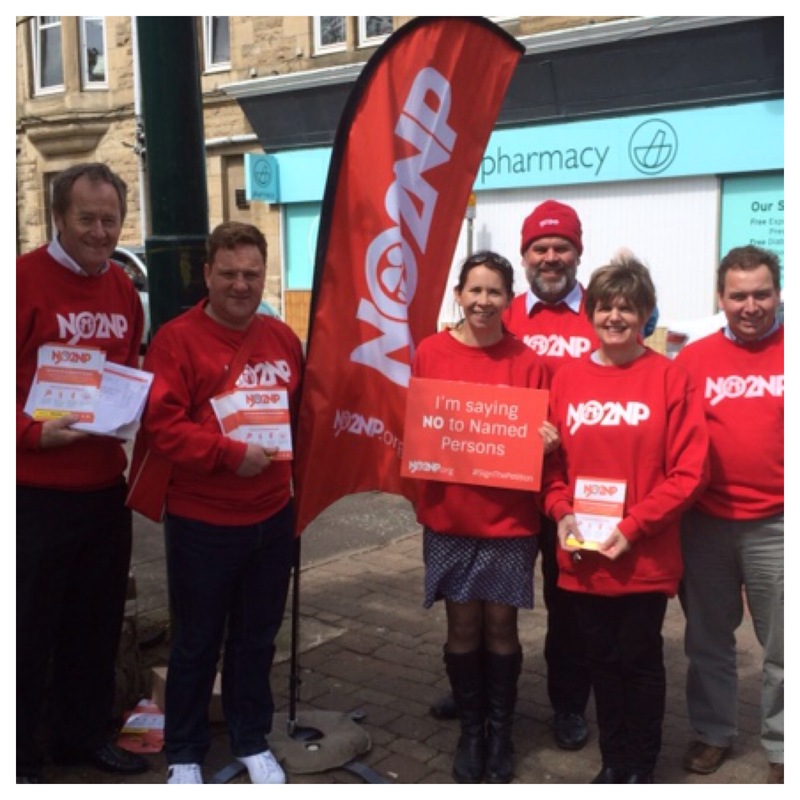 NO2NP Action Day: Dundee and Kirkintilloch, Saturday 30th May. 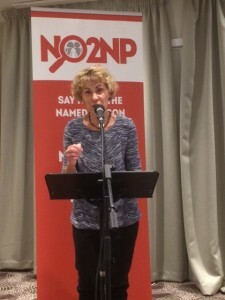 Last Wednesday night (21st January) the NO2NP roadshow resumed for the first meeting of the new year at Howden Park Centre in Livingston, West Lothian – the constituency of the new Education Secretary, Angela Constance, whom those present were urged to contact. 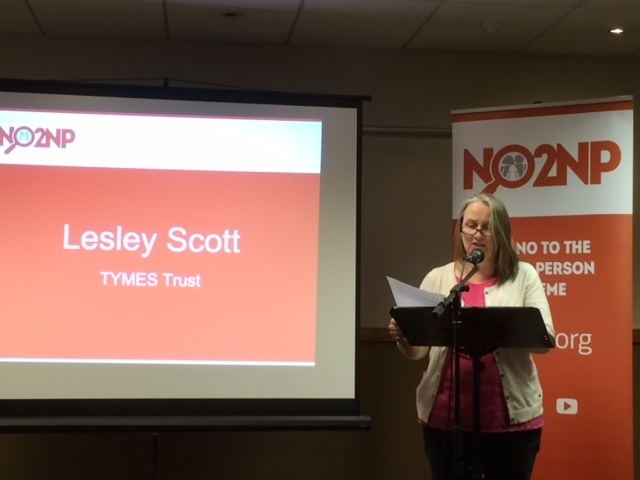 The main speaker of the night was Lesley Scott of Tymes Trust, who represent young ME sufferers. She said that the Children & Young People (Scotland) Act fails to allow for non-engagement, despite a ministerial assurance to the contrary. 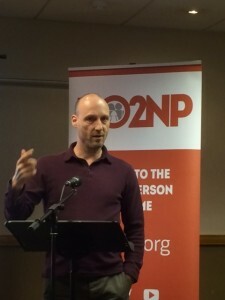 The audience also heard from Bonnybridge-based father of four, James McIntosh, who told how he had received a letter from NHS Forth Valley saying that all his children have a named person who would be sent future letters and reports. 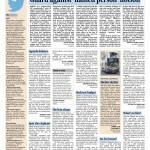 As a result of press involvement, NHS Forth Valley backed down. The meeting was chaired by Dr Stuart Waiton from Abertay University in Dundee, who said that the named person policy is sold on the basis that it will keep children safe, while stating his view that the policy is in fact detrimental to children who do need support. The next dates for the NO2NP roadshow are Greenock (Beacon Arts Centre) on 5 February and Dunfermline (Carnegie Conference Centre) on 11 February. Both events begin at 7:30pm and are free of charge. We hope to see you there. Last night (26th November) the NO2NP roadshow visited Montrose. A lively meeting was held which was addressed by Lesley Scott of Tymes (Young ME sufferers) Trust and Alison Preuss of Schoolhouse. Lesley Scott said that the named person scheme – which she warned was state control of children – usurps the role of parents and lowers the threshold for intervention. She explained that though the Children’s Minister, Aileen Campbell, had said that parents don’t need to engage, this is not in the legislation and there is no clear explanation of what non-engagement means. She warned that those who did seek to withdraw may be subject to further intervention. 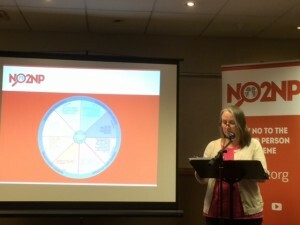 Alison Preuss described the relevant section of the Children & Young People (Scotland) Act as a “tartan Trojan horse” and said that no family was now safe from routine state intervention. 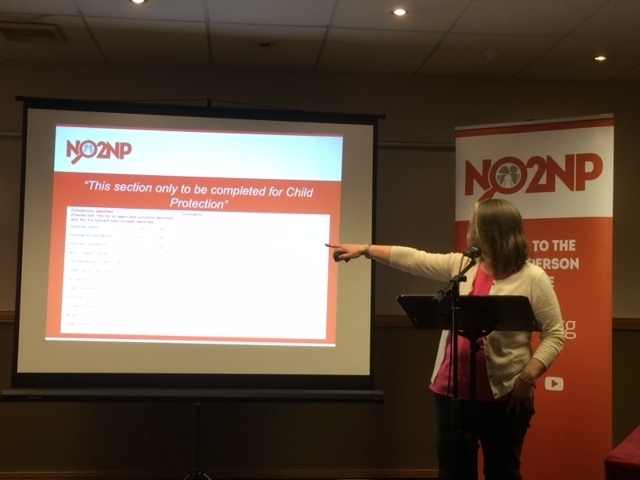 She also spoke about the ‘ChildrenCount’ surveys which had been carried out in Angus and other parts of Scotland in recent weeks. Last night’s meeting was the eighth roadshow held by the NO2NP campaign since August. 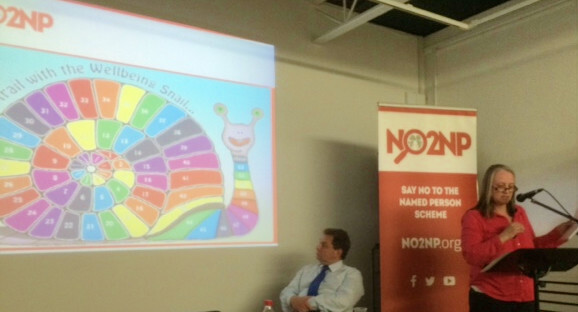 If you would like the roadshow to come to your area, please contact us at admin@no2np.org, and we may be able to arrange this. 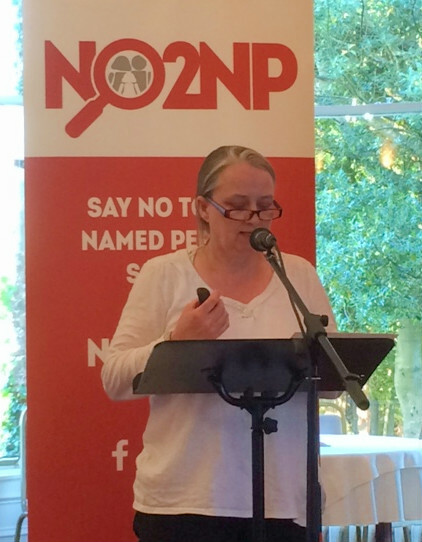 “Arguably, the most disturbing manifestation of the politicisation of parenting is the Children and Young People (Scotland) Act. 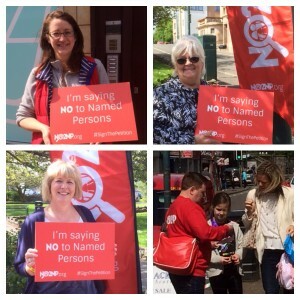 This grotesque act empowers the state to appoint a ‘named person’ for every child, from birth to the age of 18. 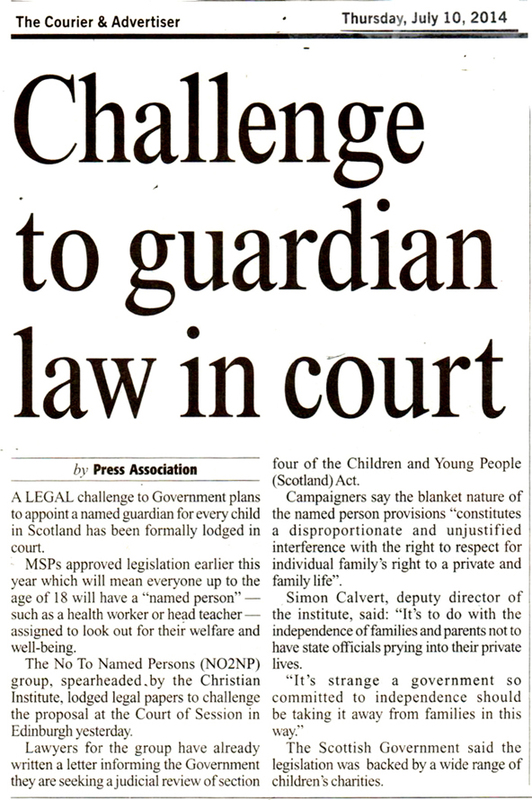 The duty of this state-appointed named person will be to act as the child’s guardian. 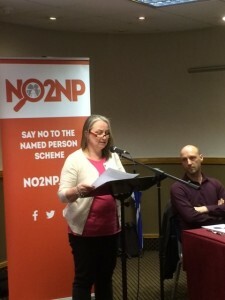 The Named Person plans could be “corrosive” to relationships between parents and children, warns sociologist and columnist Tiffany Jenkins. 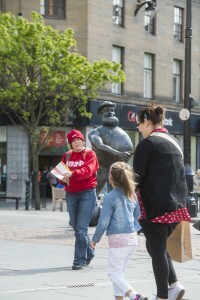 Writing in The Scotsman, she said: “It is a scheme that communicates to children that their mums and dads are not to be trusted, that a different adult – one with a professional qualification – is better equipped to look out for them than their own family members. Jenkins believes: “Child protection has gone too far and is changing all our lives for the worse”. “When it comes to children, we no longer weigh up the likelihood of a negative outcome and act accordingly, we organise every aspect of our lives around the expectation that the worst will happen. Our nightmares dictate how we live”, she asserted. 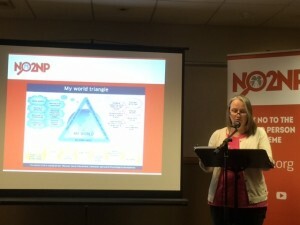 She commented that children are “innocent, ignorant, and vulnerable, though not as much as child protection zealots would have us think: children can be strong, robust and agents of their own lives in a small but important way”. “Children need to be able to spread their wings and have the space to try life out”, she added. “And they need adults – and especially their parents – to hold the authority to take care of them, check they are doing okay, and guide them as they grow. Legal papers challenging the Scottish Government’s Named Person plans were lodged at Edinburgh’s Court of Session yesterday. There is widespread opposition to the proposals and concerned parents and other groups turned up to help deliver the documents under the spotlight of the media. Here is a round up of the news reports. THE Scottish Government has earmarked £40million to hire an extra 500 health visitors over the next four years. They will be there, according to ministers, to offer support and advice to families with young children. It all sounds rather sweet. 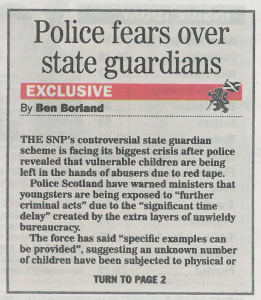 But when you consider this is all to do with the scheme to appoint “state guardians” to the country’s youngsters, the development begins to appear a little sinister. Of course, there are people who are simply no good at bringing up their children, and it is for this reason that these measures are being taken. But the vast majority of parents are responsible mothers and fathers who want nothing but the best for their children. 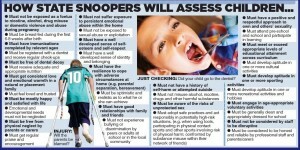 The idea that the state should appoint an additional pair of eyes to monitor a child’s wellbeing has echoes of China, the Soviet Union and East Germany where everybody snooped on everyone else to ensure the communist values imposed on the nation were duly appreciated and followed. Although I am childless, I feel uneasy about the idea that an outsider – whether a teacher, health visitor or someone else – is appointed as a child’s “extra parent”. 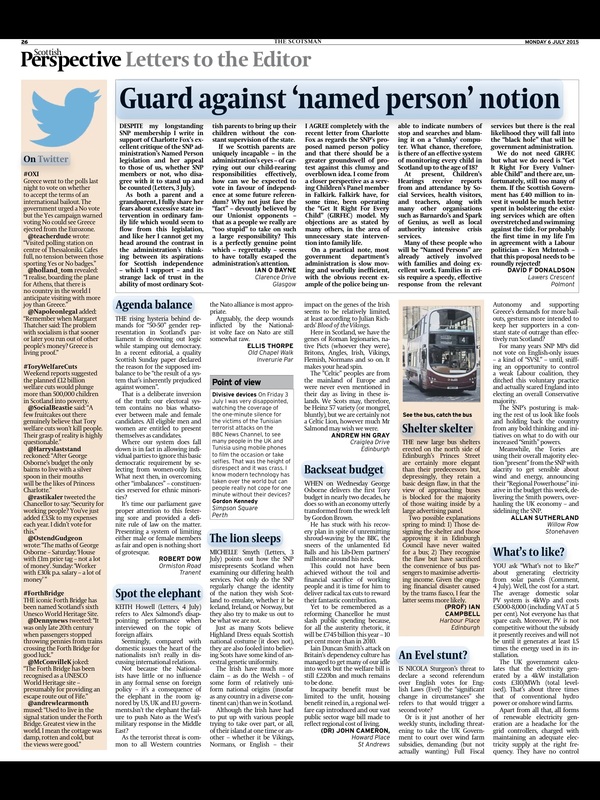 What if there is a fall-out between the state guardian and the child’s family? What if there is a disagreement as to what is best for the youngster? Who gets the final word? 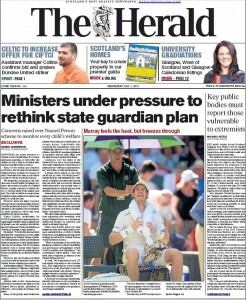 The state? Would it not be the easiest thing for the appointed individual to make the parents’ lives hell should they so choose to do so? Social workers and health professionals are equipped – or at least they should be – to deal with any problem cases and step in if necessary. I don’t for a moment believe that these Big Brother plans will actually benefit anyone. If anything, they will end up interfering with the rights of both parents and children. There is no way to opt out from the “named person” scheme, or to ask for somebody else to be appointed for your child – they will simply be there every step of the way until the child reaches the age of 18. So in other words, a teenager can get married, leave school, get a job and start paying taxes, drive a car, join the armed forces or even have children their own, and their state guardian will still be peering over their shoulder. I simply cannot fathom what good it will do. 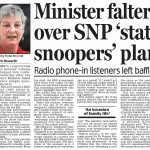 It is legalised spying on family life and I don’t like the sound of it. Various charities and organisations agree echoes the with me. Christian Action Research and Education (CARE) believes the state guardians will “undermine parental freedom and responsibility”. 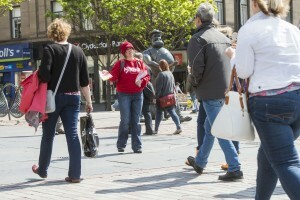 The Law Society in Scotland and the Faculty of Advocates have warned the measures could breach European Human Rights law on privacy and family life. But despite these concerns our ministers have ploughed ahead with the plans, with Holyrood approving the Children and Young People (Scotland) Bill back in February. Liz Smith of the Scottish Conservatives says the legislation effectively removes the parents’ primary obligation of looking after their children and gives it to the state. She is right. 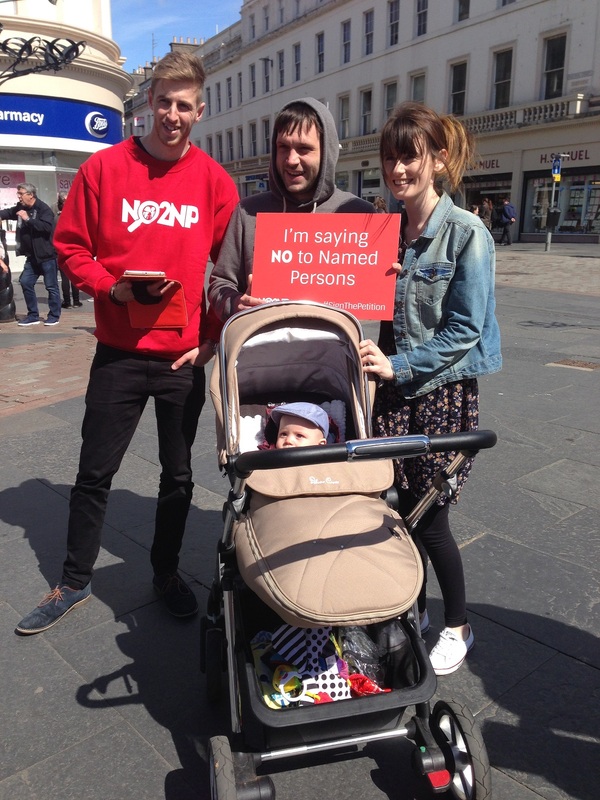 And here is the big question – if the state snooping starts at birth, where does it end? Because it is not going to be on your 18th birthday. The Named Person plans have been widely criticised by politicians, parents, academics, journalists, faith groups and those working in education. 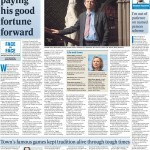 Here is a media round up showing the strong opposition to this proposal. Guardian angels … or Big Brother?